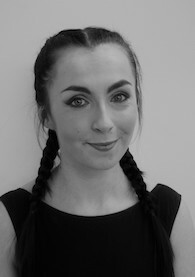 Jess teaches ISTD ballet, tap and modern and our experienced adult tap class. Laura trained at much respected Performers College in Essex, qualifying with a level 6 diploma in musical theatre. She has a passion for teaching and is qualified to teach the ISTD syllabus. Before becoming employed as a professional dancer with Warner Leisure hotels, Laura appeared in a number of music videos, pantomimes, TV adverts, fashion shows and also on TV with the Eastenders cast for Children in Need. 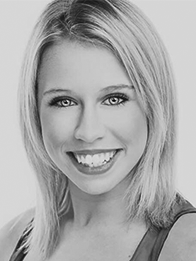 Laura currently works for a number of clients including Schools, Nurseries and pre Schools where her infectious teaching of Dance & Musical Theatre encourages children of various ages to take an interest and progress their abilities. She is eager to share her passion for dance and musical theatre with everyone who she teaches. Laura teaches our Street Dance classes and modern on Fridays at Bilbrough Village Hall. Mollie started dancing at the age of three and has loved dance ever since. She took all her ISTD examinations during her time at the school, and loved everything the syllabus taught. She started her teaching qualifications in 2013 at Elite Studios in Wakefield and has been involved with several community theatre projects around York including Huntington Secondary School and is involved in their annual school musical each year. Mollie takes our Thursday evening classes in Copmanthorpe – including adult tap beginners class and our adult ballet and stretch class.